In his 2013 book, Cold Case Christianity, homicide detective and Christian case-maker J. Wallace Warner aims to approach the New Testament gospels as a cold case detective. He implies that doing this reveals the gospels to be reliable eye-witness accounts. In my first post on this book, I discussed how Mr Wallace seems to abandon an important principle of police investigation from the outset, by dismissing the reasonable and necessary presumption against supernatural explanations. Here I deal with what is in my view the biggest problem of looking at these ancient writings from a modern legal perspective: hearsay. If a modern police detective were to approach the New Testament with the aim of using it to prove a point in a court of law, she or he would almost certainly have to leave the case cold, as all of the accessible evidence would be excluded as inadmissible hearsay. As he did with the presumption against the supernatural, Mr Wallace’s solution to this problem is again to abandon the premise of his book and approach the texts not like a detective, lawyer or judge, but like historian or theologian. The rules around hearsay are a bit confusing and sometimes counter-intuitive, so it is worth taking some time to understand what we are talking about. Hearsay is any out-of-court statement that is being advanced into evidence to prove the truth of its content. Let’s unpack this. This simply means that the statement is being presented, not by its author in live testimony under oath (or affirmation), but someone who heard the statement. When it comes to documentary evidence, all documents are “out-of-court” statements. The text of the document is not being presented by a witness under oath in court, but was made out of court by the author when she or he wrote it. Statements written into documents can easily be made into in-court statements by calling the author to testify to the content of the statement. This means that the statement is not being presented simply to prove that it was made, but that the content of the out-of-court statement is a fact. For example, the statement by Ricky, under oath, “I saw Warwick punch Carl,” could be used to establish the fact of whether or not Warwick actually punched Carl. There is really no other content of that statement. But an in-court statement made under oath by third person, Steve, that “Ricky told me he saw Warwick stab Carl” has at least two possible contents: that he heard Ricky say this (admissible), or that Ricky’s statement is true (hearsay). Hearsay is generally inadmissible. This means that it cannot even be heard in court. This rule against hearsay comes into play if I want to prove that Warwick stabbed Carl, and I call Steve as a witness. Steve’s testimony is hearsay on the issue of whether or not Warwick actually stabbed Carl. If there is some reason to establish that Ricky said Warwick stabbed Carl, Steve can testify to this, but the judge or jury will have to be careful to rely on this only for the fact this statement was made by Ricky, not that Warwick actually stabbed Carl. The reasoning behind this is that we can test Steve’s testimony about what Ricky said to Steve, but not about what Ricky may have seen, but Steve did not. We could ask Ricky if he actually saw it happen or was his view obstructed? Did he see the knife? How long ago did this happen? Does he remember everything clearly? Was he drunk? Is he lying, and so on. We can assess Ricky’s demeanour in court. Perhaps most importantly, will Ricky’s story change now that he is testifying in court under threat of perjury? Steve cannot answer these questions for Ricky. We need to be able to subject witnesses to this kind of scrutiny because eye witness testimony is constantly being discredited under cross-examination, or by better competing evidence. Quite often, even under threat of criminal prosecution for perjury, eye-witnesses are found to be lying or mistaken. And this is when the witness is testifying to what he or she actually experienced! How much less reliable is it when the witness is being asked to tell us whether something someone else experienced is factual? The law says that it is too difficult and too prejudicial to allow the statement into evidence unless we can test it, even under the caveat that Steve just heard Ricky say the statement. After all, the trial isn’t about whether or not Steve heard Ricky say something, it is about what Warwick did. The danger of accepting hearsay evidence is exemplified by one of the anecdotes Mr Wallace includes in his book for other purposes. He discusses a case in which a woman “told me that she witnessed the entire crime and was willing to tell me how it occurred… After a lengthy interview with her, she finally admitted that she was training in another state at the time of the stabbing.” So here is an example of a woman, who knew she did not see the stabbing, yet she she called a police detective and lied to him, likely committing a crime akin to obstructing justice. She did this, even though she must have also known that a little digging by the police would show that she was lying. Had she died before Mr Wallace could interview her at length (i.e. cross-examine her), and had Mr Wallace then testified about what she said, would the jury have been correct to accept this hearsay? This is why courts of law refuse to hear hearsay at all. They only want to deal with evidence that they can test. This is the whole point of our legal system, to find a way to separate bad evidence from good and reach decisions in the most fair way. If we cannot test whether or not the statement was honest and accurate, we do not accept it. The consequences of getting it wrong in law are so serious that we require evidence be able to be verified so that plausible alternative interpretations can be reasonably ruled out. Judges must even reject guilty pleas in some circumstances and proceed with a trial. 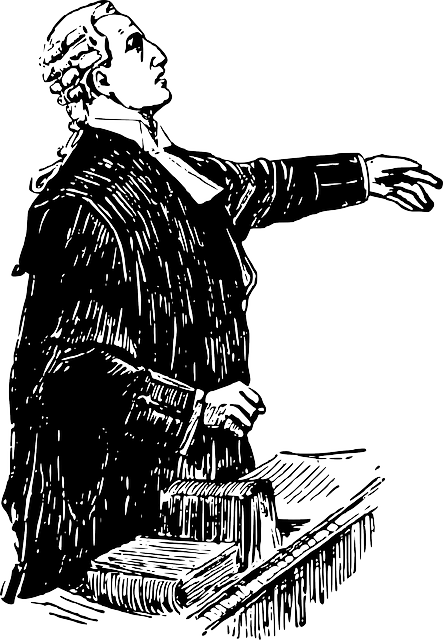 There are a number of ways to get hearsay before a legal decision-maker. Business records are one, the law accepts that statements recorded in the course of business are true unless there is a reason to question them. Other exceptions include statements against interest and dying confessions. Some jurisdictions have developed a principled analysis to accept hearsay if it can be shown to be reliable by means other than calling the author of the statement as a witness. Some administrative tribunals have relaxed rules of evidence and will hear hearsay and consider all of the context, in considering whether to give it any weight. The idea behind these exceptions is that if you can provide other evidence to show out-of-court statement is reliable, hearsay may be considered. The general rule against hearsay is controversial as are many of the exceptions, but the principles behind it are, I would say, universally accepted. In any event, this is how the legal system works. There are many problems with accepting the claims of the New Testament as factual, but in the legal context, because it is a document and we cannot call the authors as witnesses, the New Testament would be inadmissible as hearsay. In fact, the gospels are about as problematic as documents can be in terms of trying to get them accepted as proving anything in court about events in first century Judea. But let us imagine a much more modest claim for documents than the gospels. Let us say that we are not looking at something that happened 2000 years ago, or that involves any supernatural claims. Let us imagine the death of some random person 150 years ago by natural means, let us call him “Sid”. Say Sid was killed in a house fire. There was a brief investigation which turned up nothing other than Sid burned to death alone in his house. Let us say that for some reason I want to convince a court that Sid was murdered. Let us further say that I find a manuscript autographed by Sid’s neighbour Nancy, that includes a detailed first-person account of how she intentionally set fire to Sid’s house. We can find out from city records that Nancy did exist, and lived near to him, but nothing more. How would a court respond to this document? It would find it inadmissible hearsay and dismiss the case for a lack of evidence. While it might seem obvious at first that the manuscript is a confession proving Nancy did it, upon just a little reflection, we can come up with a number of equally plausible reasons for it to be a false account. Perhaps Nancy wanted to be an author and was trying out writing a novel. Perhaps a maligned neighbour or a suicidal Sid himself, who hated Nancy wrote it to frame her. Perhaps Nancy was insane and delusional and believed she had actually done these things and was writing a confession she believed to be true. Or, of course, perhaps it is true. We would just not know. Hang on, you say, these alternative explanations are more convoluted than accepting the manuscript at face value! Occam’s Razor, you cry. We should just look to the most simple explanation for the existence of the manuscript and accept that, right? Perhaps we might if you and I were casually trying to figure this out, or if we were trying to prove one of these hypotheses in another venue, with different standards of evidence. But a court of law would not accept this text as proving Nancy murdered Sid. I have a few cases that are now impossible to complete because the key witnesses are dead and can no longer testify in court. It’s not enough that I may have someone who heard what these witnesses once said about the event. If I called those “second level” witnesses into court, their testimony would be considered “hearsay”. It would be inadmissible simply because the original witness is no longer available to be cross-examined for evaluation. This is a reasonable standard to hold for criminal trials; as a society, we hold that “it is better that ten guilty people escape… than that one innocent life suffer.” [footnote]30 For this reason, we’ve created a rigorous (and sometimes difficult) legal standard for eyewitnesses. But this standard is simply too much for historical eyewitness testimony. The majority of historical events must be evaluated in spite of the fact that the eyewitnesses are now dead and cannot come to testify. And he is right! While the rules of hearsay are rules of evidence and apply to both civil and criminal trials, I’m sure history, as well as science, journalism, and theology all have different standards and different techniques designed to assist practitioners in proving various points. But if Mr Wallace wants to argue that that the supposed eyewitness accounts of the gospels meet the standards of history, he should write a book about proper historical techniques are and how the gospels fare. However, he has written a book that at least appears to strongly suggest the gospels could meet the standards of law. And yet, when an obvious problem with this approach arises, he simply shifts out of the legal context completely. As we have seen in the hypothetical of Sid and Nancy, even an autographed manuscript of known age, relatively recent, with no supernatural claims, would be inadmissible in court. But the problems with the gospels are far more serious. We have no originals, we do not have copies of originals. In fact, what we have are copies of copies of copies of copies. Moreover, historians and theologians accept that many of the passages have been purposefully changed for theological reasons. We have a multitude of different versions and there are more differences between the versions than there are words in the New Testament. And this is before we even consider the seeming contradictions and inaccuracies between them or the supernatural issue. And, oh yes, most of the New Testament is taken up by the accounts attributed to the apostle Paul, who no one, including Paul claims to have witnessed anything until after Jesus died! In the legal context, the gospels of the New Testament are about as poor evidence as one can imagine. I am an atheist in Canada. I know something about law. "Brian Green Adams" is a pseudonym, taken from Brian Eno, Robert Green Ingersol, and Douglas Adams. Three of my favourite atheists. Not to mention The Life of Brian, Brian Green (physicist), Eno's "Another Green World", and Adam from Genesis in the Bible. The connection to Brian Adams is an unfortunate coincidence, though I was very fond of him when I was 12. This entry was posted in Cold Case Christianity and tagged Atheism, Atheist, cold case christianity, counter apologetics, evidence, hearsay, J. Warner Wallace, New Testament, Religion. Bookmark the permalink. As you may know I’ve been banned from SN. What you might not know is that this deletes all most posts, so I’m wondering if you subscribed to the most recent ‘The Opening of the Scientific Mind’ thread, and would be willing to email me some of my comments? The basic error of conservative apologists on the issue of hearsay is that they view it in black and white terms. If it cannot be used, then we cannot know half of what we know about history. If hearsay can be used, then they automatically assign it a probative power equal to first-hand evidence. What they fail to point out is that, although historians often use hearsay, that doesn’t mean they think it is just as conclusive as first-hand accounts. When a historian says Papias commentated on the authorship of Matthew, that doesn’t mean the historian is willing to bet her life that Papias did that. As you point out, the good historian recognizes that although hearsay can be used, it has limited probative power. Simon Greenleaf couldn’t be more wrong, the gospel copies we have today do not pass the legal tests of provenance required of ancient documents, and Papias and Eusebius have their own problems of gullibility and error that prevent dogmatic conclusions about the significance of their statements, to the chagrin of Richard Baukham and others. I make a bold claim that the only first-hand account of the resurrection of Jesus in the NT is that of Paul. Nothing else in the NT that admits Jesus rose from the dead, is anything more than hearsay, or the evidence for it being first-hand is so inconclusive that its probative power is no better than hearsay. I agree with you that the only first hand account in the Bible is Paul, if we grant he actually experienced Jesus in any way. He does not claim to have witnessed any of the actual events in the synoptic Gospels of course. This would make Paul’s authentic documents primary sources. But from a legal perspective, they and all primary sources, remain inadmissible hearsay because they are documents. A legal proceeding would require access to Paul himself to literally cross examine him to see if he was telling the truth and so on. Needless to say this is impossible, which is exactly why Wallace is wrong to say he is applying his homicide detective skills. He needs to accept that crime investigation does not work in this context. He needs to apply historical standards. But if he did, he loses his gimmick and has to compete with real historians. From a legal perspective, if we are going to allow accounts such as his Road to Damascus experience, we need not look to 2000-year old translations. We can find people today who claim to have met Jesus, and cross-examine them. But of course when we encounter such people, who genuinely say they met and spoke to Jesus in a real sense, we usually have concern for their grip on reality. Or we follow them and start a religion, and so it goes on. I would agree Paul’s writings are the only resurrection testimony in the NT that comes down to us in first-hand form, as the arguments for eyewitness apostolic authorship of Matthew and John are seriously wanting, and visions (Revelation) don’t count. The problem would be that Paul’s writings are uselessly ambiguous about his experience seeing the risen Christ. He merely claims to have seen the risen Christ (1st Cor. 9:1), he claims he was the last apostle to have seen a risen Jesus (15:8). Beyond this, “God was pleased to reveal his Son in me” (Gal. 1:15). But Paul’s credibility was suspect in the eyes of his own churches. Gal. 1:6 (apostasy to the Judaizer gospel), 2:13 (“even Barnabas”, otherwise Paul’s ministry helper personally chosen by the Holy Spirit, Acts 13:2) gave in to the Judaizer view; 2nd Timothy 1:15 (all they in Asia have turned away from Paul, when if he were a true Christian, this would be unlikely, whether turning away from his legal persecution or his doctrines) 2nd Tim. 4:10 (Demas forsook the ministry, only Luke stayed the course) and then 2nd Tim. 4:16 (the Christians abandoned Paul as his first defenses, again, not likely if the resurrection of Jesus was real for all concerned and was this life transforming event apologists say it was). Paul implicitly admits Christians outside of Corinth deny his apostleship (1st Cor. 9:1). If we do what apologists wish and use the the hearsay to corroborate the first-hand, then Paul’s mode of seeing Jesus was a “vision” (so says Luke, quoting Paul in Acts 26:19) using the same Greek word (“optasia”) which Paul used to characterize his infamously absurd “vision” wherein he admits he still cannot tell, even 14 years after the fact, whether his trip into the heavens was while he was in his body or out of his body (2nd Cor. 12:1-4). There are other problems such as the likelihood that because Peter believed the only qualified potential apostles were those who were direct disciples of Jesus in the pre-crucifixion period (Acts 1:21), and that the number of legitimate apostles was closed at 12 (1:26), neither they nor their immediate followers would have agreed that a person’s having seen the risen Christ was, alone, sufficient to view them qualified to begin doing apostolic work. Paul admitted his willingness to lie when he thought doing so would give him an advantage. I’ve asked fundies for years how Paul can give the impression to Jews that he believes himself under the law (1st Cor. 9:20), while believing himself actually free of the law (Id) and do this without giving a false impression to the Jews about his true theological beliefs. So far, just cricket chirps. Finally, Acts 21 keeps open a possibility apologists insist is closed or highly unlikely: that the first century church could and did place great trust in false rumors about apostles, Paul arrives in Jerusalem and meets with James and the elders (17-18), James then remarks that Paul is aware that the Christian congregation there is made up of tens of thousands who are zealous for the law (v. 21), that there is a problem because they heard he came to town, and they firmly believe he relaxes Mosaic law for Jews living in the Diaspora, and that he can quell this false rumor by participating in a Mosaic ritual (v. 22-24). If the rumor was false, then there you go: thousands of original first-century Christians who seriously trusted as true an ultimately false rumor about an apostle. And let’s not forget John’s strangely honest remark that well into Jesus’ earthly miracle ministry, even his brothers weren’t believing in him (7:5). That’s a severe problem in the eyes of an apologist who thinks the miracles of Jesus which the brothers saw occurring were genuinely supernatural: How could those most intimately familiar with Jesus, his brothers, continue being skeptical of his messianic claims/powers, if they observed him doing genuinely supernatural miracles in ways obviously superior to the fake healers? Were they so closed-minded to miracles that they simply didn’t care? Or could it be that the miracles Jesus did were just as easily explainable on naturalistic terms as any healing performed by Benny Hinn? Or will somebody trifle that nothing before John chapter 7 specifies that the brothers were actually present to view his miracles (i.e., they didn’t believe because they were just always out of town or otherwise absent from the dangerously large crowds that he attracted, Mark 1:45)?